I went to Judith Kinghorn's talk at Horsley Library in Surrey last night, which is down the road from me. 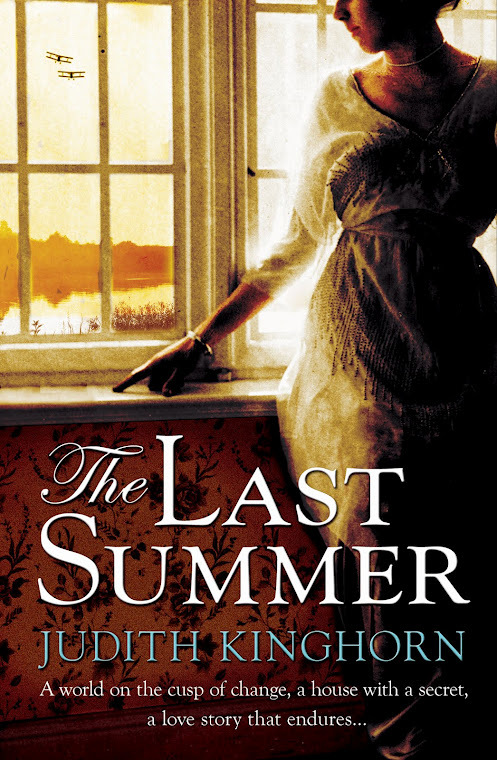 Judith's novel, The Last Summer is one of my favourite books published in recent years (click here for my Amazon review). The Last Summer will be released in the US in December 2012. Helena Towers from Headline led the talk with Judith, then the audience asked questions. Judith wanted to write in first person narrative and about life in the UK during World War I, rather than the trenches. She researched The Last Summer (set 1914-1930) by submerging herself in that period: reading novels, biographies, diaries and listening to music. One of Judith's favourite wartime memoirs is Testament of Youth by Vera Brittain (published in 1933). One of her favourite novels is Rebecca by Daphne du Maurier, written in first person narrative. Initially writing The Last Summer was an indulgence, escapism until the storyline evolved. Judith said, 'When you write, the book takes you on an adventure'. She didn't plan much as she'd spent years researching the period, although she did draw up outlines of the characters. Judith wrote The Last Summer in five months. Judith is at her desk writing at 9am and she rarely stops for lunch. It can take an hour or so to get into the world of her novel. She uses photos to help set scenes and to see characters. Her Pinterest board for The Last Summer is inspiring. 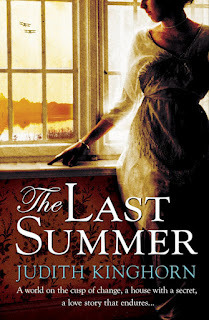 The Last Summer is the second novel that Judith has written. Her first novel, The Memory of Lost Senses will be published in February 2013. She described this novel as a 'labour of love' and it took her a long time to research and write it. The Memory of Lost Senses is quite different from The Last Summer and there are three protagonists. It's set mostly in 1911 and moves between Italy and the UK. I look forward to reading it. I know Judith from Twitter (@judithkinghorn). It was lovely to meet her in person and now I have a signed paperback. Thank you Judith for an interesting talk. An interesting post, Anita, and a timely one as I have three talks - my first - coming up in the next two weeks. Thank you. ps, hope they go well-best of luck! I would have loved to have been there!!!!! I so enjoyed losing myself in 'Last Summer', the period was captured wonderfully. Love all the costume references, this book even inspired me to go out and buy some 1920's fashion. Thank you for sharing your blog. It sounds like a wonderful evening. Thanks Bev for reading my post and for your comment. Would love to see pics of the clothes you bought! I really love reading books set during the war and especially how ordinary folk coped. I said I wasn't buying anymore books until I had read all that I have but you may have persuaded me. Great review. Thanks Anne for reading my post and for your comment. It's a great novel to get lost in for a few days! Thanks for reading Kelly. I like finding out how authors work-always interesting.